About Us | Kosmo Machine, Inc. 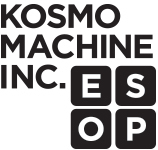 Established in 1976, Kosmo Machine Inc. has operated as a Virginia-based, employee-owned business devoted to quality production and superior customer service. Now an employee owned ESOP, our full-service precision machine shop specializes in CNC milling and turning, EDM machining, and custom welding processes. We also offer a range of reconditioning services, including dry ice blasting and alternative methods of advanced cleaning programs. Our Quality Management System covers all the manufacturing work centers in the plant. Quality certifications include ISO 9001:2015 and AS9100D. 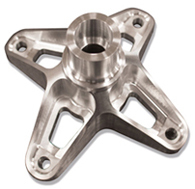 Registration is in respect to: Manufacture of Precision Machined Parts, Certified Welding ASME/AWS and Part Reconditioning, European PED Classification CE Cat II. At Kosmo, our well-trained personnel and state-of-the-art technologies can turn the most challenging designs into reality. Continued investments in the latest technologies and top talent make this possible. Our employees are outstanding machinists and creative problem-solvers who consistently deliver high-quality parts. Our 99.9% customer acceptance rate, and historically maintained 95% on-time delivery rate are well respected in the industry. At Kosmo, we’ve long attracted motivated individuals who take personal responsibility for each job. Through our recently adopted Employee Stock Ownership Plan, our workers now hold equity in the company—and are rewarded for their long-term commitment to us and our customers. Located near the Richmond International Airport, our 62,000-square-foot, climate-controlled facility in Sandston, Virginia, offers specialized work centers for design, CNC milling and turning, EDM, custom welding, and inspections. Our full-service precision machine shop can handle the entire lifecycle of your project—from prototype to large-scale production runs.